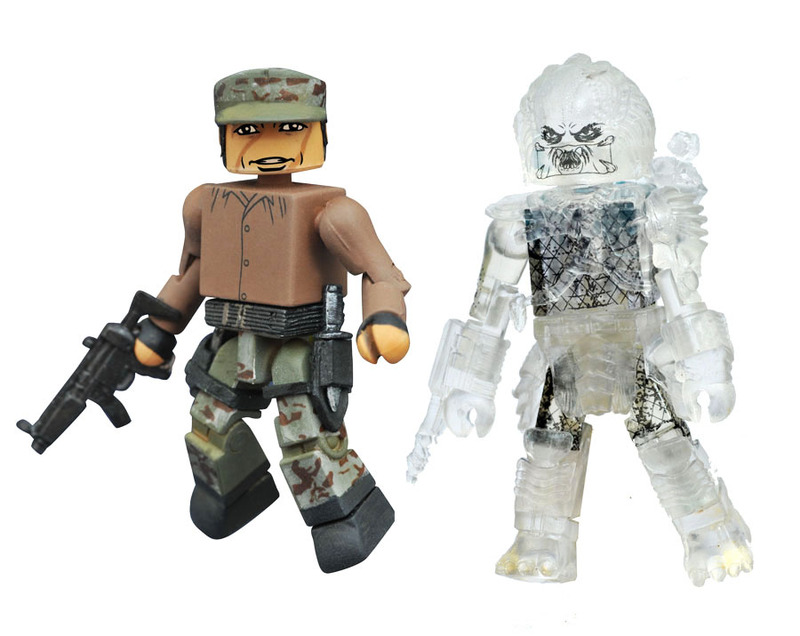 Time to head back to the jungle, for another assortment of Predator Minimates! 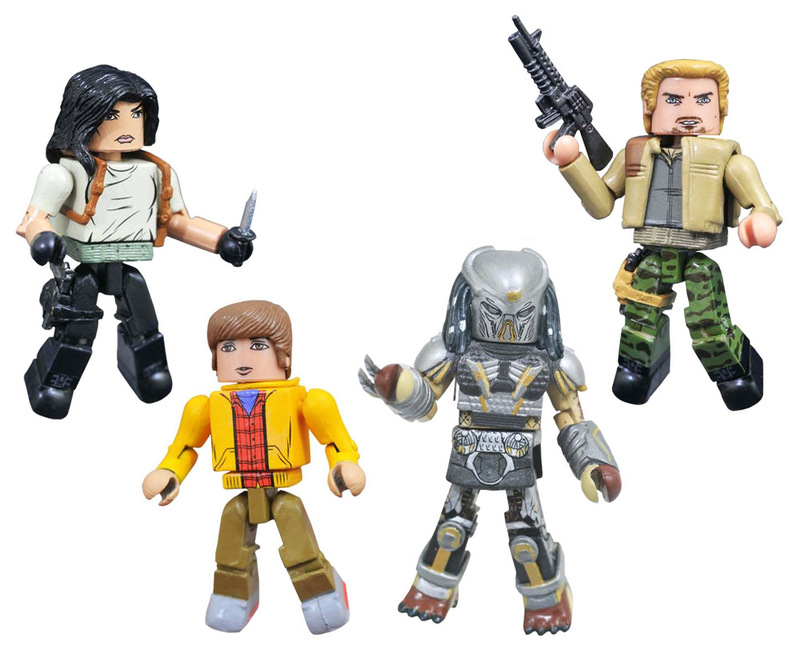 This all-new assortment of 2-inch Minimates mini-figures features characters from all three Predator films! 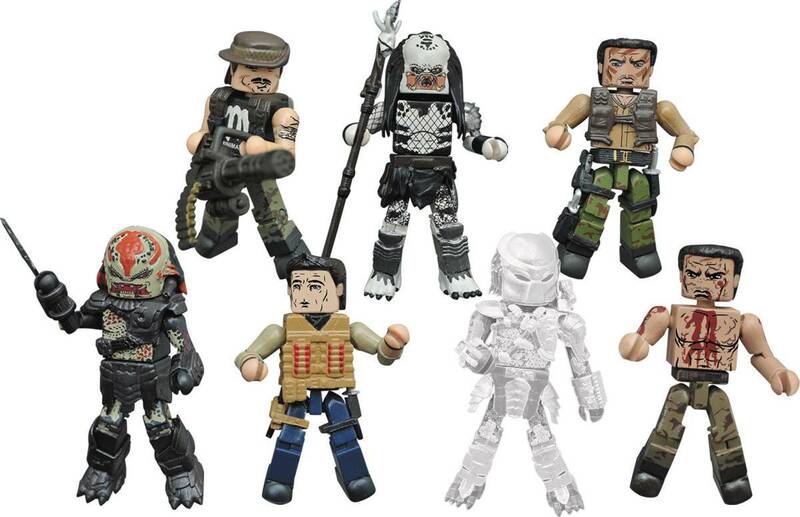 Royce from Predators comes with that film's Berserker Predator, Predator's Blain comes with Predator 2's Shaman Predator, and Predator's First Appearance Dutch faces off with the Cloaked Jungle Predator. 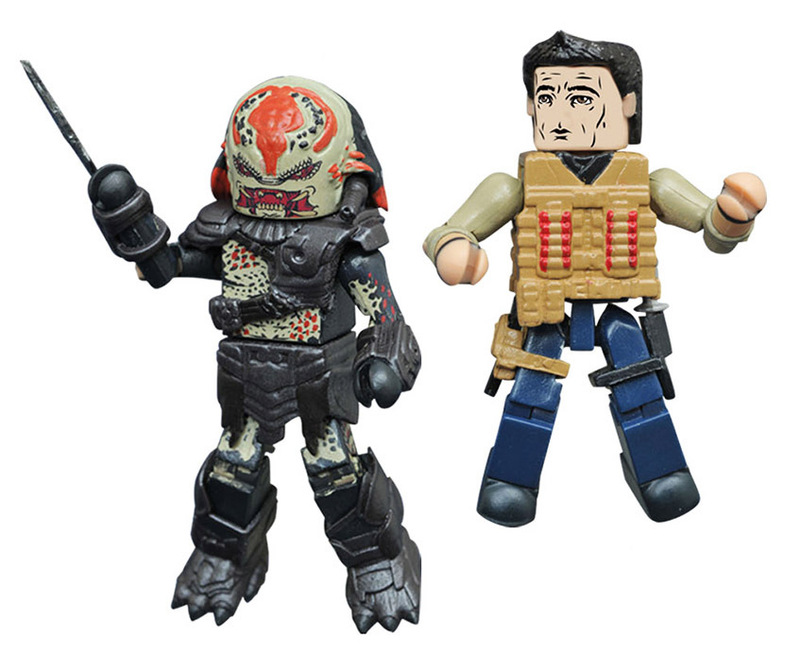 Plus, be on the lookout for the rare, one-per-case variant set of Final Battle Dutch and Cloaked Jungle Predator! 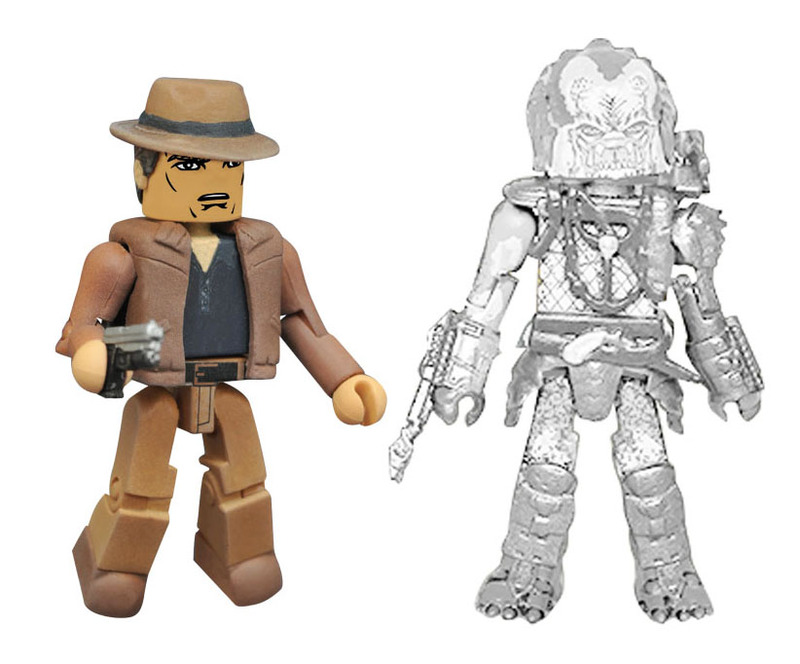 Each Minimate features 14 points of articulation and fully interchangeable parts, and each two-pack comes on a full-color blister card.